Oshawa Cleaning Services in the Oshawa Cleaning Service Directory. See the list of professional house cleaning service companies who service the Oshawa area. 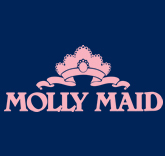 Molly Maid's house cleaning services are available 24 hours a day 7 days a week to answer your calls. Call anytime to speak to a live representative. provides cleaning, interior redesign, cosmetic construction, home showcasing and more.